Here is the story that we keep writing every day. The two tours are unique as we hold events at Executive and Championship length courses all thru out North County. We also have exemptions with the Southern California PGA in regards to exemptions for player of the year points. Established in 1965 and re-started in 1998 by David Emerick, PGA Golf Professional, our local tour started at Rancho Carlsbad and consisted of just 4 events and 15-20 boys and girls played. LPGA professional Jennifer Johnson was a consistent winner! The original NCJGA website was created by Chris Beck, who incorporated the Blue Golf platform, which we still use and love today. 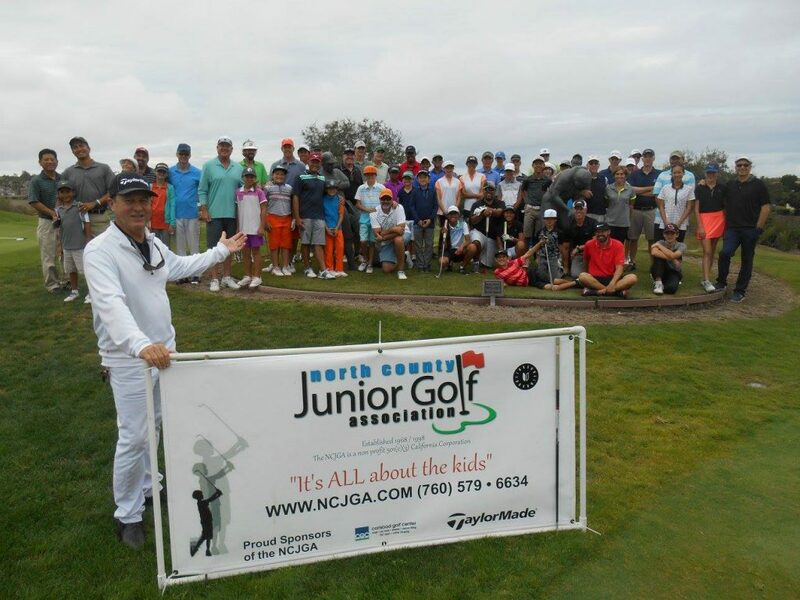 In 2008, the NCJGA expanded to include Championship Tour events and hold 36 hole events that are Junior Golf Scoreboard ranked. In total we now host 26 annual events. Our Community & Giving Back. The NCJGA introduces the game of golf to boys and girls, ages 5-18 by offering affordable, fun, and competitive golf events and instruction.